You must make reservations at least 5 minutes in advance of the time at The Log Cabin. Parking in front and back of building. A guest pianist plays in our speakeasy lounge every Saturday night. Also live music on our patio when weather permits. 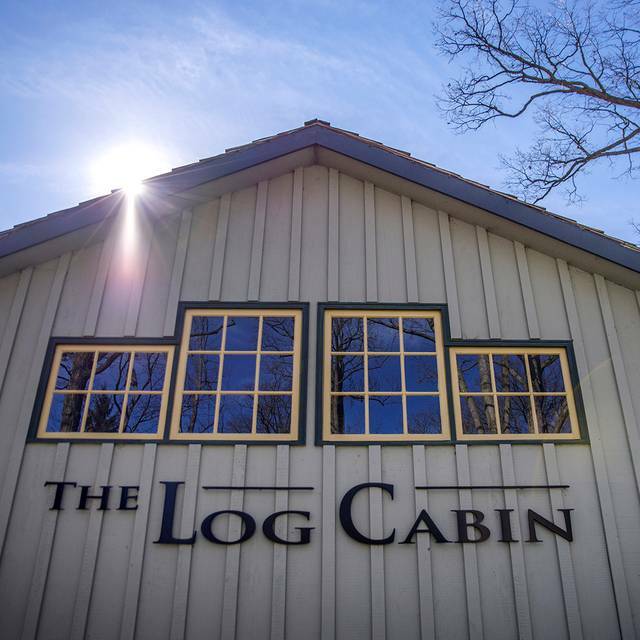 The Log Cabin hosts several fun events such as wine tastings, scotch and cigar dinners, live music and more! 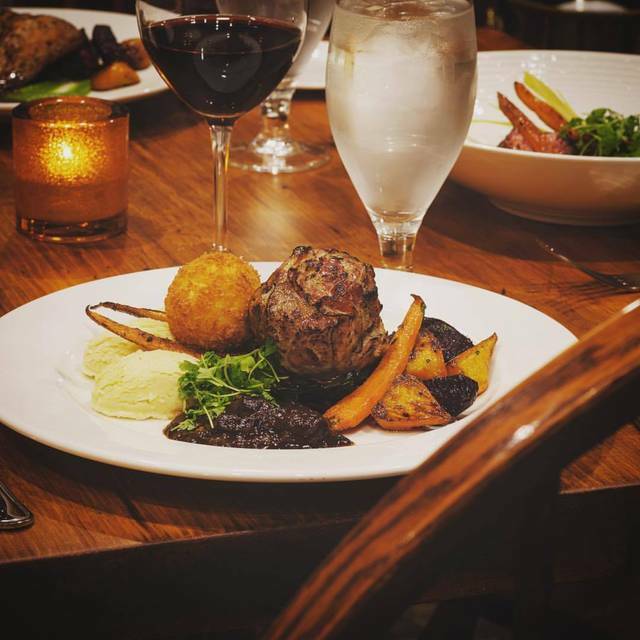 The Log Cabin is an upscale restaurant specializing in local farm to table cuisine, historic rustic décor and exquisite service. The Cabin is perfect for a special occasion with a significant other, casual dinner with friends, family gatherings, business meetings and receptions. 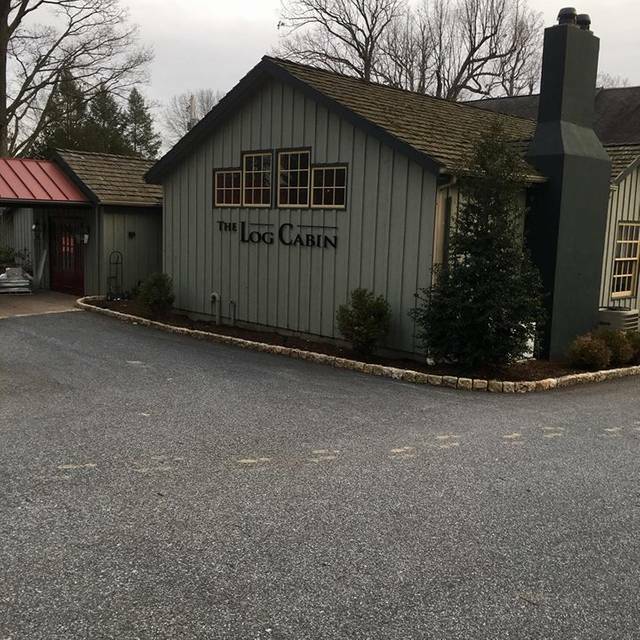 Surrounded by 6 acres of the Lehoy Forest in the beautiful Lancaster County countryside, the Cabin is a local classic with new age warmth and flare. Thank you for helping us celebrate a wonderful anniversary! Everything was so lovely!! The only thing negative was a table of 4 who were not mindful of others around. Loud. Otherwise, it was a wonderful dining experience. 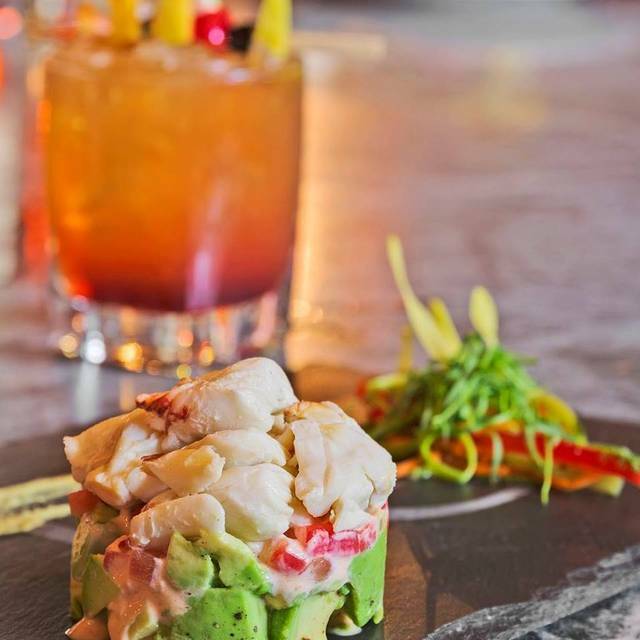 Outstanding cocktails, food and service. Both the bartender and the waitress were top notch. We will definitely be coming back again! This was probably the best dining experience we have ever had. My brother and his wife, as well as two dear friends came up from Virginia to see the Jesus performance at Sight and Sound Theater. The hosts prepared a private room upstairs for the six of us with a beautiful sunset view. Logan (our waiter) and the manager were on point on so many levels, that each course was seamless with outstanding service. The food and drink was paired expertly and the food is excellent. We adjourned to the downstairs for dessert and after dinner drinks where the live performer played and sang a fantastic array of covers. The night could not have gone better. I am very appreciative to the management for making this night so special. The six of us will be back soon. I recommend The Log Cabin as one of the best restaurants we have ever been to. Enjoy! We had a marvelous time. My husband and I had brought a client for a bit to eat, and they loved the whole evening. Our waiter was a real doll. This is our second time dining at The Log Cabin, and will be back again in the future. Glad we were introduce to this wonderful restaurant. Had a fantastic experience. Fine food, pleasant and accommodating waitstaff, wonderful atmosphere. Especially appreciated the flowers and vase, an anniversary surprise. Will be back. I had marked it was for a birthday and they called me in advance. They greeted me happy birthday when we arrived, had flowers and a card waiting and all continued to wish me well. So lovely! It had been a number of years - an owners - since we were last there. This was a great experience for our 40th wedding anniversary. Food and ambiance was GREAT and Gaby our server was quite attentive and personable and made the visit even greater! Will be back for sure. This was a surprise dinner for my husband's 56th birthday and he loved it !! The food was excellent. The ambience was very nice - loved the entertainment that evening. The smell of the food and fireplace - very nice atmosphere. Service was great. And the gift of beef jerky for my husband just made it all that more special. We'll definitely be back and would recommend this restaurant to others!! Thank you. The birthday card and flowers are a lovely touch and makes the meal very special. We've been there 3 times, twice since the new owners took over. Both previous visits were very good. This time was much different. Lobster bisque and cocktails were excellent. For the entrée, my wife had the meatloaf, which was tasteless and I had the seafood pasta with mussels and scallops. The pasta portion was tasteless as well. No hint of any flavor at all. For dessert my wife had the apple tart, which was extremely small, maybe two bites. We left very disappointed and are very hesitant to return. For the amount of money we paid, we expected a much more satisfying experience. Doesn't anyone in the kitchen taste these menu items before serving them to paying customers??? Our food was very tasty, we had a good choice of wine and our server was very friendly and my wife had a vase of pretty cut flowers placed on our table for her birthday. We eat here quite often and we like to eat Sunday brunch here also. There was nice piano playing in the background all Saturday evening. It was very enjoyable. A nice warm atmosphere for dinning. We had a delightful brunch! Our food was excellent, the service was superior and friendly, the hostess was extremely outgoing, and the venue is always outstanding! Some may think the prices somewhat high for a brunch, but honestly to provide the level of hospitality, their food expertise, and the upkeep of a pristine historical site ...in my opinion it is well worth it. I was at the “original” log canon many years ago. I love you have kept it close to the same. I went for brunch to celebrate a birthday & was not disappointed. I was very pleased with my whole experience & will definitely return again. Brought back many plseant memories of years past. Love the Log Cabin. Employees were great. Friendly, accommodating & I could not have asked for anything more. Thanks for a lovely brunch. Nice little date spot with you significant other. Very nice location. You can order a drink and relax in the lounge before you get seated at your table. Relax with a beverage or without one and listen to the live music. It was a little dark in the dining area but was still amazing. Will definitely go back sometime soon..... Also, if you like cheese I highly recommend the cheese board. It's very delicious. It took 2 hours for our food to be served. Our waiter suggested that we were a review on open table or trip advisor about our experience. Enough said! Absolutely a hidden gem. Obviously start with the amazing food. I LOVE steaks, but even though we've been here a dozen times, I am still yet to try one of their steaks (that they dry age themselves) because there are so many other intriguing dishes on the menu such as the duck, Osso Bucco, Veal chop, or house made fried chicken. All dishes I have tried and loved so much, I am still yet to order one of their reputedly incredible steaks. The bar tenders, and bar itself is one of my favorites. My wife and I always like to enjoy a drink at the bar before we go to our table when ever we are dining at a fine restaurant. The bar tenders craft some mighty fine cocktails (I like to start with the Smoked Blueberry Sazerac) and its a great way to kick off your evening. After dinner, we like to retire to the lounge area to listen to the music. There is always some fun jazz or appropriate dinner music being played by great local artists. Never too loud, but always lively and will definitely keep your attention. This is a large restaurant. For about the first six times we visited, my wife and I remarked how we hadn't sat in the same dining room twice. Each room elegant but not pretentious, and all cozy, several with real fireplaces, and a fine collection of local antique art and portraits gracing the walls. We haven't dined outside here yet, but are very much looking forward to doing so this summer. With all the rain lately, on two occasions the roads leading to The Login Cabin were closed due to flooding. If this happens to you, don't be discouraged and cancel your reservation. Using the map in my phone, we very easily found an alternate "back way" to the restaurant that only took about 5 additional minutes. The Log Cabin is clearly a destination restaurant. It is pretty much in the middle of nowhere in a residential neighborhood. But it is so worth the trip. I easily put it at, or near the top of best fine dining restaurants in Lancaster or Berks county. Lovely and historic fine dining. Friendly and efficient staff. Food is very good. Pricy as you would expect. There was a jazz band in the bar area which was a pleasant surprise. Very interesting art work throughout the rooms. It’s a bit of a drive from civilization but our Uber took care of that. Great place for a special evening. 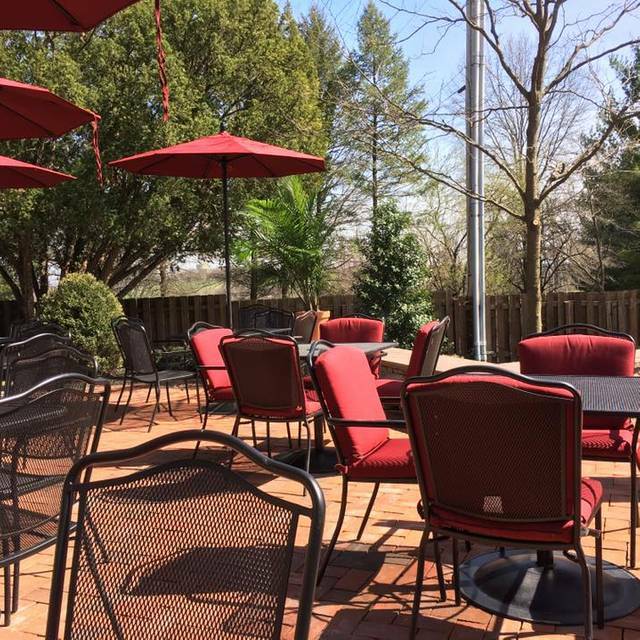 One of our absolute favorite restaurants in Lancaster County! A truly excellent dining experience! The service and food was excellent. Perfect for a celebration or special occasion. Incredible experience in every way. Perfect for a special occasion. Atmosphere is warm and intimate. The staff are well trained and knowledgeable about the menu. Gluten Free needs were met without issues. You would not be disappointed. Birthday dinner with the family was very nice. The staff is very nice and so is the ambience. 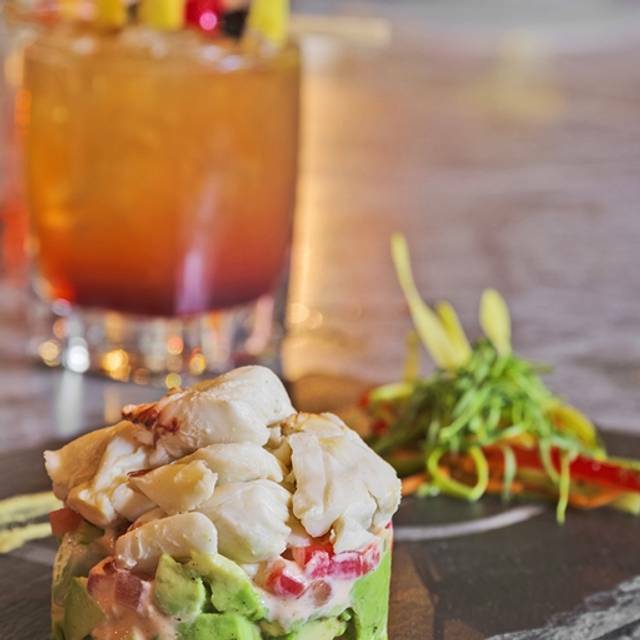 Crab meat avocado appetizer as always awesome. Definitely will go back. While no comparable to big city, top notch for Lancaster. We had a very enjoyable meal and excellent service. The drinks were very good too. The piano player was a nice touch and she takes requests. Simply superb! I think I had the best mimosa ever! The new food selections were awesome and they were able to accommodate my husbands lactose issues with no problems. We will definitely be back for more superior options in the future. We had a most delightful experience. The ambiance was charming, the food excellent, and the service first class. We can't wait to go back. 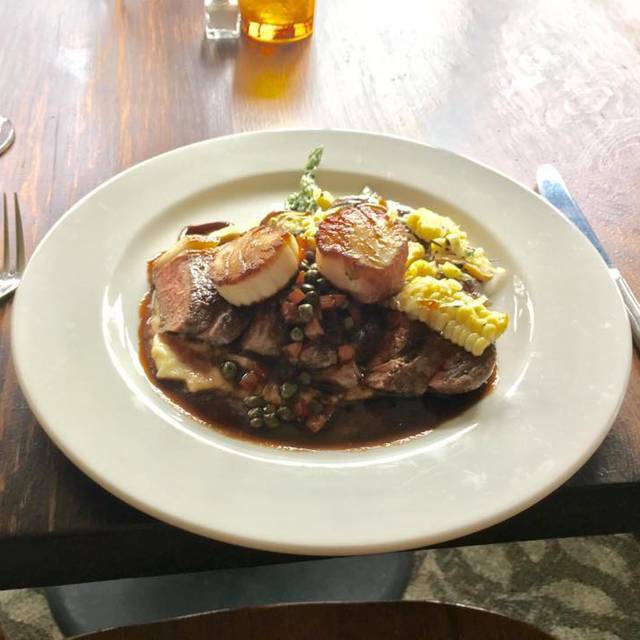 Charming and special with food, service and atmosphere above average. Would recommend and return. Exceptional but very expensive. Great atmosphere. Low noise level. Costly but worth it. Everything about The Log Cabin is top-notch! The food was great, the ambiance warm and cozy, and the service attentive but unobtrusive. I had the lump crab meat and avocado appetizer, which was very tasty. With a bowl of soup or a salad, this could be a meal in itself. 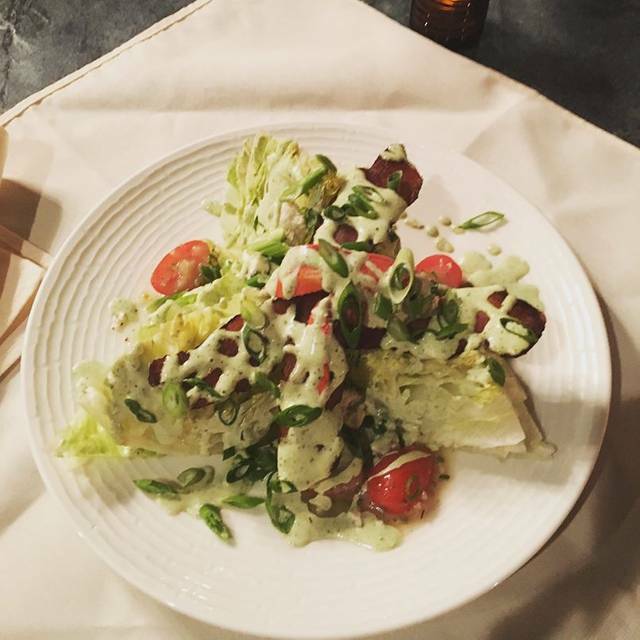 My husband had the baby iceberg salad. Amazing-with a great bleu cheese dressing. For entrees, I had a petite filet and South African lobster tail. The beef quality was good; the preparation just OK. I asked for medium well; it came out well done. Having spent many years in Boston, I did not have high hopes for the lobster tail but was pleasantly surprised. It was tender and very flavorful, served plain with melted butter. My husband had the rib eye steak. Again, disappointing in that he asked for medium well and it came back well done. We definitely will go back but ask for our steaks to be cooked medium instead of medium well. They have a fairly extensive wine list, but we were disappointed with the Malbec offering. We tried the Sean Minor Pinot Noir and liked it much better-very smooth. Overall, a great experience and a place to which we will return. Great venue, not sure how the website noise rating score works. Our room was very nice and quiet. Food and staff were phenomenal. Amazing food! Wonderful hospitality. Favorite special occasion place as well as a great place to enjoy local live jazz in Lancaster County. 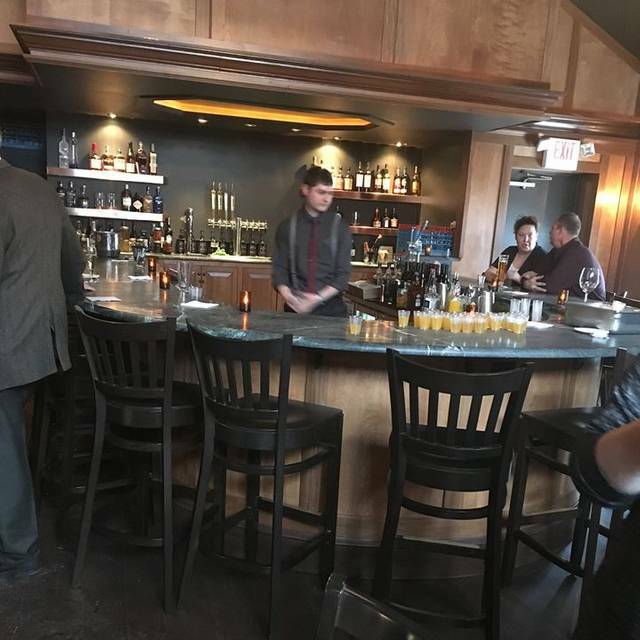 This former speakeasy turned restaurant in a residential neighborhood had good ambiance and a nice vibe. I enjoyed my beverage and the dessert was delicious. I wouldn’t recommend my choice in meal (2-day marinated chicken). I believe the steak would be a better option as it was the most popular order. Food was fabulous, as always. Service greatly improved! Only complaint was being seated in a cold room next to large, loud, party. Just need to do a better job with our next reservation! You can order a great quality steak that will be probably the best you’ve ever had. Or, get a classic americana dish that’s affordable and will give you a great experience. I would recommend going here at least every month. Get the coffee rubbed barrel cut ribeye, smoked crab and avocado terrine, lobster bisque, Caesar salad, creamed spinach, especially good to dip your truffle fries from the coffee ribeye in. You can even have a tiny dessert. We went fullbore and got the big dessert and just took it home.